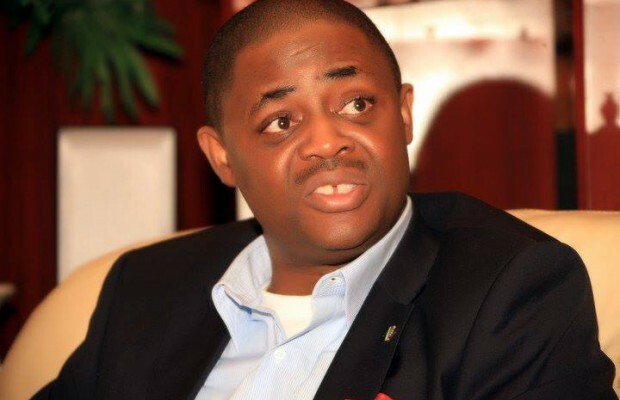 A former Minister of Aviation, Femi Fani-Kayode, has released a statement threatening that ‘the dogs of war’ would be unleashed on the country if Saturday’s governorship election in Ondo state is rigged. “INEC should not allow itself to be used by a rapacious and desperate Federal Government to win the state “at all costs”, Mr. Fani-Kayode said in the statement emailed to TOOXPENSIVE. “They must not do anything that will provoke the wrath of the people of Ondo and they must ensure that the election is free and fair. That is the only way to guarantee and ensure peace. Read Mr. Fani-Kayode’s full statement below. Prince Adedeji Soyebi who is the INEC National Commissioner for the south west is leading the team for the Ondo state governorship election tomorrow while Professor Kayode Soremilekun, the Vice Chancellor of the Federal University, Oye, is the Returning Officer. This is a dangerous combination. Both men are anti-PDP and Soremilekun is the same individual that was appointed as the returning officer for the Edo state 2016 governorship election. Sadly we witnessed the havoc that he caused there. He shamelessly rigged the election for APC in Edo and he is under orders to do the same in Ondo state tomorrow. We must stop him and those that sent him on this robbery operation. Ondo state is not Edo and if they rig the election there will be consequences. We must begin to learn from history. We must remember the fire and carnage that engulfed old Ondo state in 1983 after the ruling party of the day, the NPN, rigged the governorship election. We must draw the necessary lessons from that and never allow it to happen again. That single act of electoral robbery led to the death of many innocent souls and signalled the end of the second Republic because it resulted in a military coup d’etat a few months later. The truth is that rigging in the south west, whether it be in the elections of 1964, 1983 or 1993, always results in massive violence and its consequences are always felt way beyond the shores and boundaries of Yorubaland. It also always results in the total and complete destabilisation of the entire nation and a violent, unconstitutional and controversial change of government at the centre. Permit me to explain. The rigging of the south western regional elections in 1964 and the violence that followed it was the primary justification and reason for the bloody and violent coup that took place on January 15th 1966. Many were killed that night. Again the rigging of the governorship election in 1983 and the violence that followed it was the primary reason and justification for the coup that took place a few months later in that same year and that ironically brought General Muhammdu Buhari (as he then was) to power. Again many were killed that night. Finally the rigging (or the “annulment”) of the June 12th 1993 presidential election, in which the free and fair election of Chief MKO Abiola, a leading son of the south west, as President of Nigeria was cancelled at the last minute caused a violent reaction in the south west (and indeed consternation all over the country) and resulted in the “stepping aside” of General Ibrahim Babangida as Head of State in 1994. Again many were killed that night. We must avoid a repeat of any of these scenarios at all costs. We must not allow murder, arson and violence to hold sway or take root. We must pray for and keep the peace. INEC should not allow itself to be used by a rapacious and desperate Federal Government to win the state “at all costs”. They must not do anything that will provoke the wrath of the people of Ondo and they must ensure that the election is free and fair. That is the only way to guarantee and ensure peace. Anything short of that will result in the murder of sleep, the invocation of the clouds of uncertainty and the release of the dogs of war. To the PDP in Ondo state I have just this to say: we are very proud of you, your state and your governor, Segun Mimiko. You have fought against all odds and ensured that you were not robbed, murdered and buried by the enemies within and the cockroaches, vultures, traitors and usurpers that infiltrated your ranks and that sought to cripple, disable and destroy you. The Supreme Court and the Court of Appeal have given you justice and God has brought you so far. Now is the time for you to shed all your fears and anxieties and exercise your faith in God and express your confidence in your governor, your leaders and your candidate. Do not be overwhelmed and do not be intimidated by the rantings, intentions and plans of the enemy because the Lord, who is always faithful to His own, is with you. He will never allow you to be put to shame. The whole nation is watching you and praying for you. Go forth and do us all proud. Go out in your millions, vote for our candidate Eyitayo Jegede and make sure that you stand firm and guard your votes jealously. Do not be intimidated by the power of the Federal Government or the threats, taunts and insults of their numerous emissaries and agents because in the end we shall surely prevail. Saturday the 26th November is your day of victory and vindication. Go forth, claim it, take it and show them that your God is mighty.